The stated goal of biometric identification is to eventually render password management and security irrelevant. The challenge faced by scientists is to come up with a financially viable group of technologies that can be used across multiple platforms, from mobile devices to laptop computers. Yahoo! thinks part of the eventual solution will be your ear. Reports say that Yahoo! 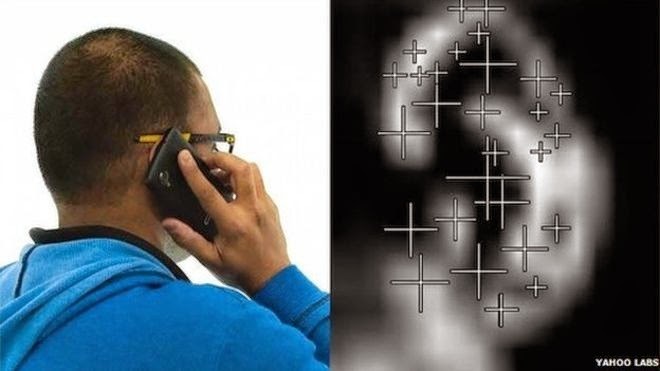 is currently working on technology that would allow a mobile phone to be unlocked just by placing it to the owner's ear. The phone's touchscreen is already capable of acting as a sensor that could map various locations on the ear to make a correct identification and, if they cannot make the ear work, they are working on mapping the palm of the hand, using the fist, or even identifying a phone owner by his or her grip. Yahoo! has named their biometric project 'Bodyprint'. Initial trials with 12 participants have achieved results of 99.98% accuracy in identifying body parts and a 99.5% accuracy rate for identifying individual users. The ear scans were accurate 99.8% of the time. Such strong and positive results suggest that the company is onto something that could eventually become quite successful. According to the Yahoo! research team, the Bodyprint project was born out of a necessity to create biometric identification that was both effective and inexpensive. While fingerprints have been used as biometric ID markers for years, the highly sensitive equipment needed to make it work is too costly for the average smartphone - that is why it's only found in top-of-the-line phones sold to a limited audience. Fingerprint scanning has no viable commercial purpose because it is cost prohibitive. Working with other body parts is much more feasible because of the area and capability of the smartphone touch screen. Its large size means it does not have to be as sensitive; it can map and compare larger surface areas in less detail, yet still come up with an accurate result. Supporters of the kind of research Yahoo! is doing say that body part recognition may be better in the long run because it adds an extra layer of personal security. Fingerprints, for example, are easily lifted from nearly any surface a person touches - there have already been cases where mobile phones have been hacked by stolen fingerprints. Using a body part that does not leave a detailed mark makes it harder for hackers to do their jobs. Body part recognition is also seen as more secure and private compared to facial recognition. Although facial recognition has been in development for IT services for a while, security experts are wary of storing the data involved on cloud servers where it could be easily accessed for nefarious purposes. Data centres would be especially vulnerable if their facial recognition data were breached. Body part recognition makes it possible for security to remain more local and without as much personal data floating around. Our parting comment: should ear scans come become part of everyday life, be sure to wash behind your ears!